 San Diego State University School of Social Work offers 1, 2, 3, and 4-year plans for obtaining the MSW degree. In addition, the School of Social Work also offers two dual degree programs: Master in Social Work Degree / Master in Public Health Degree (MSW/MPH) and a Master in Social Work Degree / Juris Doctor Degree (MSW/JD). The Mission of the MSW Program is to prepare graduates competent to work in public and private sector health and human service agencies. Using both generalist and advanced specialist frameworks, graduates work both with and on behalf of diverse and vulnerable populations in the Southern California border region and beyond. Graduates enhance human and community well-being and eliminate social disparities. Grounded in the ethics of the social work profession, graduates apply evidence-based approaches in their work with individuals, families, groups, communities, and the agencies that serve them. are prepared to be leaders in the profession. The MSW Program is organized around two distinct methods of concentrations, Direct Practice/Clinical or Administration and Community Development, and focus areas (mental health, children/youth/families, and health/aging). The first-year foundation courses present an orientation to social work practice and provide the necessary base upon which to build the more advanced body of knowledge, practice principles and skills offered in the second year. All students must complete a multiple choice exam at the completion of 31 units of work (i.e., qualifying exam). In the final year of the program, students choose between completion of a thesis (Plan A) or a Comprehensive Exam (Plan B). A data driven article suitable for publication is also an option for eligible students under Plan A . Those who select the thesis will be required to complete a substantive research project directed by a faculty thesis committee recruited by the student. Students selecting the comprehensive exam must pass a 4-hour multiple choice exam. A detailed description may be found in the Social Work section of the SDSU Graduate Bulletin. Included are admission requirements, course and electives listings, and detailed program requirements.